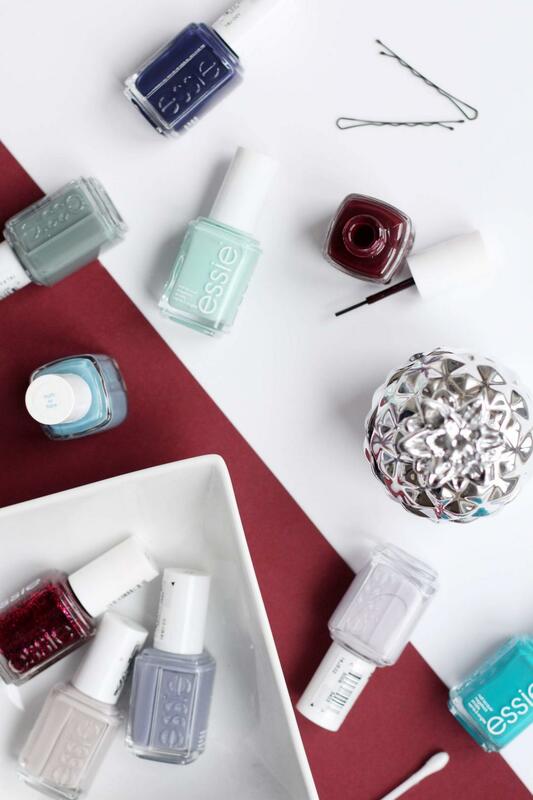 As you may well know from my previous posts, I am partial to a good Essie nail polish. They’re my most used and loved brand, often featuring on my instagram and in nail polish favourites posts. I genuinely can’t fault Essie for the quality, the wider brushes that cover nails so well and the lasting power, as I can get around four days out of them before seeing any tip wear. I bought all of the above shades from Fragrance Direct, as they’re only £2.49 each (so cheap!) but I can imagine you’d be able to find them in Boots or Superdrug too! I’ll run through each one I bought, shall I? 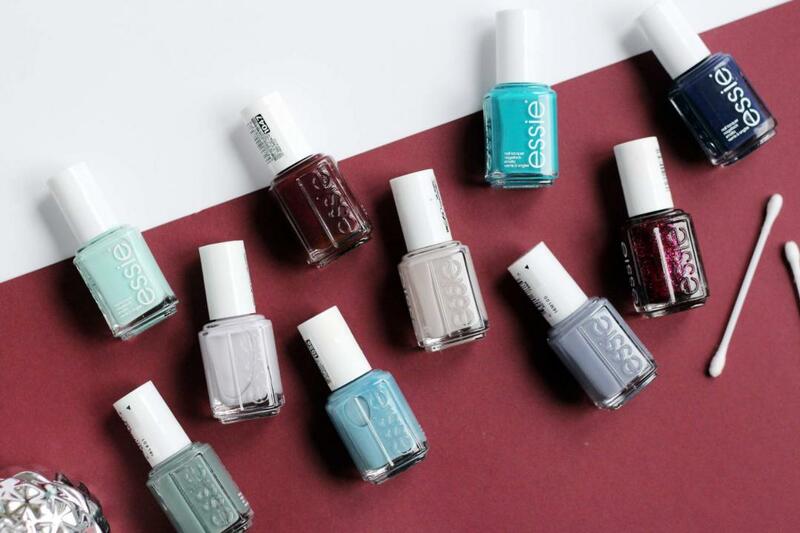 Starting from the top of the first picture, Essie No More Film is a beautiful dark navy/purple, Essie Fall In Line is a khaki green, Essie Blossom Dandy is a minty green, Essie Shearling Darling is a dark red/brown (perfect for AW! ), Essie Truth or Flare is a mid-tone blue, Essie Toggle to the Top is a glittery red (for Christmas, obv), Essie Take it Outside is the perfect neutral (a repurchase), Essie Pedal Pushers is mid-tone cool purple shade, Essie Nice is Nice is a pale lilac and Essie Garden Variety is a bright turquoise blue. Do you like any of the shades I bought? Have you entered my new giveaway to win a 6 month Glossybox subscription? ps. Check out this lovely blog: Living for the Now! pps. Have you seen this amazing competition where you can win a trip to Paris and a Michelin star meal? The entry is so simple too, like ridiculously simple. Go forth and click and win yoself a nice weekend away.